Cross Contamination Training Kit - Watch where you're putting your hands! For teaching students how to avoid cross contamination. Contains a bottle of GlitterBug Powder and a UV Torch. 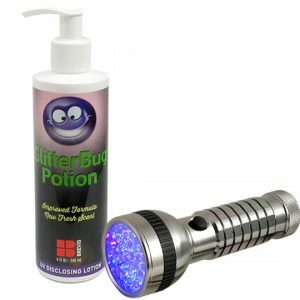 Show the trail of contamination with GlitterBug Powder and a GlitterBug UV Torch. 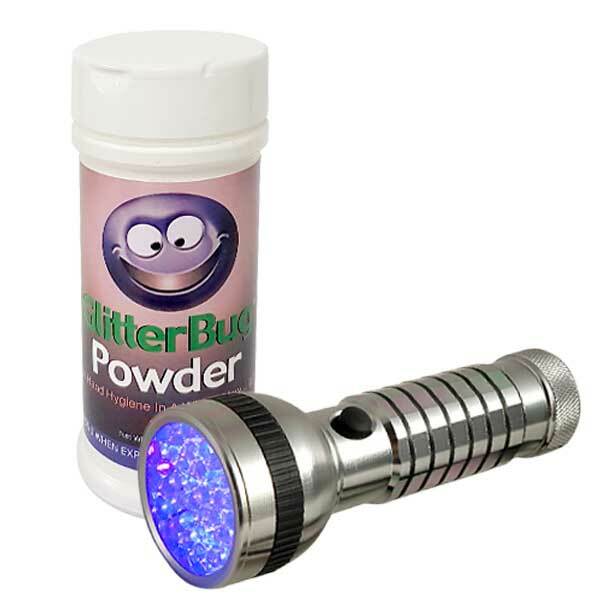 GlitterBug Powder makes it easy to demonstrate the spread of germs. 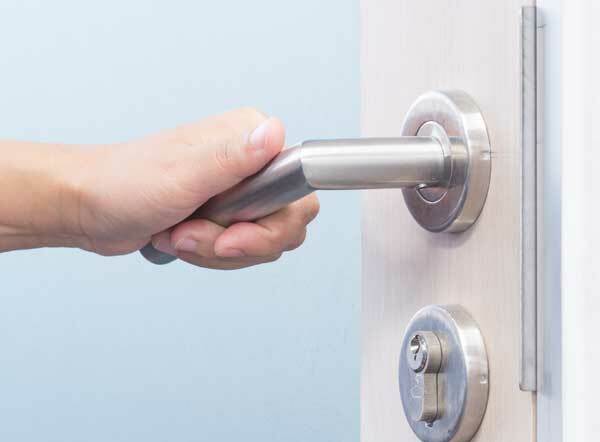 Simply sprinkle it on a surface such as doorknobs, sign-in sheets or a desktop. It will transfer to people’s hands when they touch the surface, and then onto other surfaces. It can also be a simple check to see how effectively an area is washed, cleaned or vacuumed. For teaching students how to correctly use hand sanitiser. Contains a bottle of GlitterBug Gel and a UV Torch. 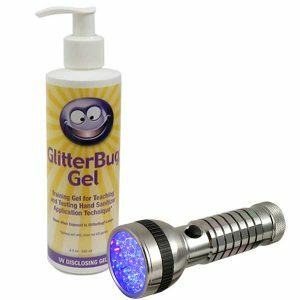 Get started with GlitterBug with our entry-level hand washing kit, the GlitterBug Training Kit, which includes a UV torch and a bottle of GlitterBug Potion.